Los Angeles, CA, - April 30, 2017 - Global superstar and 5x time Grammy Award winner Shania Twain rocked Stagecoach last night, thrilling 75,000 music fans who made their way to Indio this weekend. Headlining and performing at the festival for the first time, Twain opened with fan-favorite, "Rock This Country," setting the scene for a performance which had the audience packed into any available space in front of the Mane stage. Filled with hit after hit, her electric 90-min set showcased her illustrious career and was a reminder that Twain is one of the most dominant and exciting artists of all time. Keith Urban’s 2016 release RIPCORD, which has been #1 on the Billboard Country Album Chart the last two week, is making history yet again propelling Urban into the country music record books. Paisley and friends 90+ minute performance included Fogerty’s undeniable classics, Paisley’s hits and new songs from the just released LOVE AND WAR. Brad Paisley Releases LOVE AND WAR Album Today! 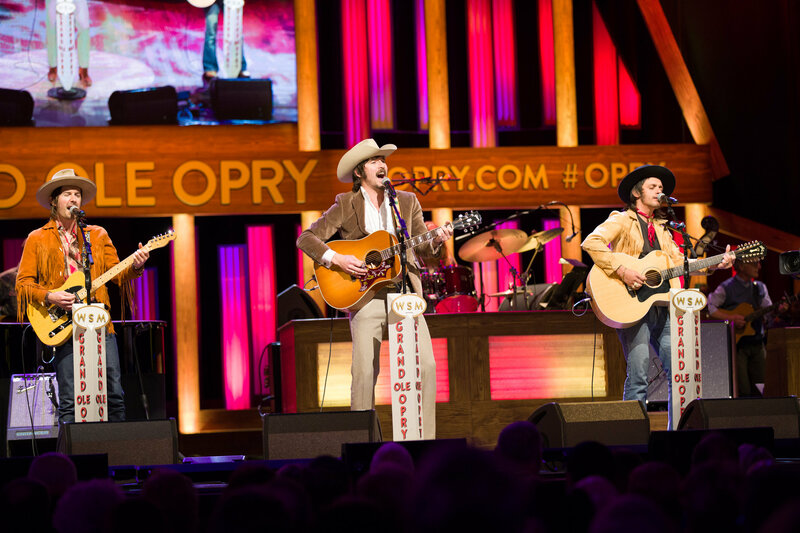 Nashville, TN – Country superstar Brad Paisley releases his much anticipated 11th Arista Nashville album today! As part of the celebration the music video for “Love and War” is available now and can be viewed HERE. 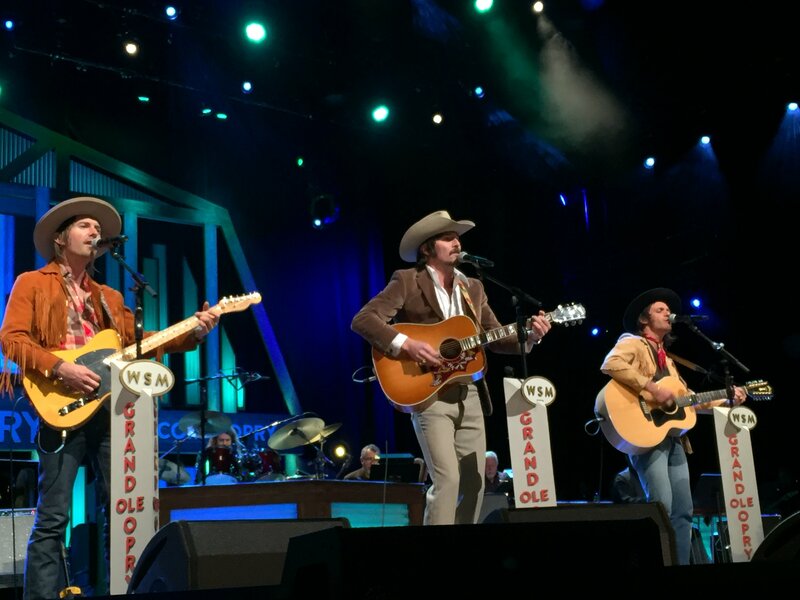 NASHVILLE, TN (April 10, 2017) – Continuing their high-speed momentum, Midland made their Grand Ole Opry debut Saturday night (4/8). Lead singer Mark Wystrach, guitarist Jess Carson and bass player Cameron Duddy performed two back-to-back shows from the legendary circle, giving audiences a healthy dose of their retro-modern sound with debut single "Drinkin' Problem" and fan-favorite "Burn Out." Nashville, Tenn. -- With a second Gillette Stadium show added and close to sold-out, the hunger for that live Kenny Chesney summer experience is pronounced. Though there’s a handful of festival plays on the calendar for this year, Chesney announces four more intimate shows to round out his 2017 live schedule: Tuscaloosa Amphitheater on Aug. 4 and The Wharf Amphitheatre in Orange Beach, Ala. on Aug. 5, followed by two nights at the Mohegan Sun in Uncasville, Conn. on Aug. 10 and 11. All shows this summer are presented by Blue Chair Bay Rum. 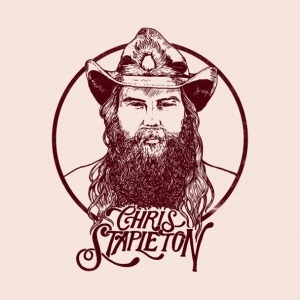 Chris Stapleton has revealed the title and track list for his much-anticipated new album, From a Room: Volume 1. The collection of nine songs will be released May 5th, with a second volume following later this year. Nashville, TN – Superstar Brad Paisley announces the release of “Last Time For Everything” as his new single, music video and instant grat track, as the countdown continues to the launch of his 11th studio album LOVE AND WAR on April 21. NASHVILLE – GRAMMY-nominated country artist Chris Young will headline Nashville’s July 4 celebration (#NashvilleJuly4), which will take place near Riverfront Park with a stage on Broadway, the Nashville Convention & Visitors Corp announced today. Let Freedom Sing! July 4 in Music City presented by Dr Pepper Cherry is a free, family-friendly event that showcases the GRAMMY-winning Nashville Symphony and the largest fireworks show in the country.